Fit N Furry is a Green Facility! It began back in 2005 when my wife Marci and I were talking with our daughter, Mandi, in the kitchen one night dreaming of a full service pet care facility for our furry friends! The primary vision was that it be an environmentally sound project that gave back to the community. We thought that building green would be a very natural approach and would appeal to passionate pet lovers. After my first career of 34 years in the HVAC industry, where I’d witnessed a host of poorly designed, inefficient systems, I was determined this project would not take away from the environment. Being green is a synonym for quality construction! When it is all said and done, this building performs in the best manner possible to minimally impact the environment, function efficiently and be as healthy indoors as out. The goal was to impact the environment positively by absolutely minimizing any waste generation and inefficiency as compared to a similar sized business that was not green. The result of all this ‘greening’ allowed Fit ‘N’ Furry the distinction of being the first certified Green Building project in Petaluma. The city of Petaluma thought it important enough that they sent representatives of their Green Team to our Grand Opening in April 2007 and presented us with an engraved ‘Build It Green’ plaque! 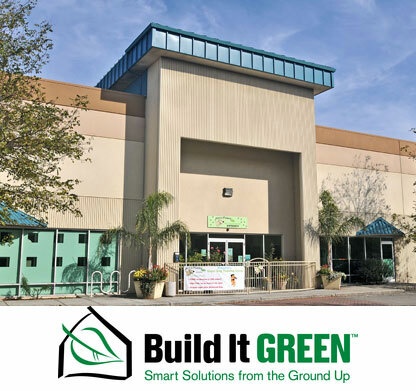 In order to be certified it meant we had to meet or exceed a basic criteria of building construction components and systems established by the city of Petaluma which they adopted from a nationally recognized LEED (Leadership in Energy and Environmental Design) program. Instead of building anew we reused an existing building, conserving land, resources and infrastructure. This led us to focus on the preservation of natural resources, conservation of energy and indoor air quality as we totally transformed the interior of this 17,000 square foot building. Salvaging much of the removed plumbing fixtures, light fixtures and insulation got us off to a good start! Then we carefully constructed every square foot with pre-approved building products, fixtures and appliances. Each of these items were worth points with critical mass being 50 points to achieve certification. Our goal was 72 points and we actually certified on 64 points! Green materials and equipment equal huge benefits! Preserving natural resources took recycled car tires which made a shock absorbing floor surface in our three doggie daycare rooms. This provided a cushiony surface, easy on the joints of our canine companions, gave good traction and sound absorption plus it saved a plethora of virgin rubber plants. Over 900 lineal feet of partition walls were built with 3 1/2 miles of studs, not wood but metal studs, RECYCYLED METAL STUDS! This saved a small forest of Fir trees. Energy conservation was greatly enhanced with dual switched electronic fluorescent lighting fixtures which substantially reduced our energy budget. High efficiency HVAC units on the roof trimmed another slice off our energy pie. Each unit was fitted with an economizer (an amazing device that allows 100% outside air to be forced into the building when the outdoor temperature will improve the indoor comfort level) thus offering fresh air indoors and practically free air conditioning, both were major benefits to an indoor pet care facility! We were able to actually exchange the air in the entire building with the push of a button. Whenever these units moved air for heating, cooling or ventilation every cubic foot of air passed through a filter bank of pleated high efficiency filters. Low emissions paint and insulation without formaldehyde kept out-gassing (new car smell) to a minimum. Speaking of insulation we have double layers, one at the roof and one above the ceiling. They not only act as thermal barriers but also serve as sound absorbers too. Lastly, water usage is extremely important to us. Here are just three of the ways in which we conserve water. Our grooming tubs actually recirculate water by using a spa message pump. Both of our washing machines are front loaders, proven water savers. The biggest water savers are our wet/dry vacuums! We don’t hose and slosh the pet’s rooms and hallways with water when cleaning. We have installed four heavy duty commercial vacuums which operate like a steam carpet cleaner by spraying out a fine mist of water and cleaning solution. Not only do we clean the floors but the walls and doors too! These systems use less than a 1/3 of the water required by conventional methods and they do a better job! These powerful vacuums not only pick up water and pet residue but pet hair as well so we are not clogging the city sewers. Additionally, they act like large exhaust fans that remove smelly air and discharge it through the roof so they actually improve indoor air quality at the same time. All these green building elements laid the foundation for everyday green business practices. Operating green on a regular basis means modifying some habits and patterns. People are the very heart of a business and the most precious resource we have at Fit ‘N’ Furry. We have made great strides in educating them in the value of green operations because it makes such a difference. They are even a little green themselves! We take extra effort to hire local people saving fuel and traffic congestion on the freeways because they only need to travel short distances to come to work. The cleaning and disinfecting solutions we use are all biodegradable. Napkins, paper towels, toilet paper and many other paper products are now available with a high percentage of post-consumer recycled paper. Even our used newspapers get one last shot in the kitty litter pans. Curbside recycling is big around here; 60% of all discarded items go in the recycle dumpster. We are very stingy with water and electricity. Our use of these resources per square foot is substantially less than an average household. For example one of the ways we manage energy is at the end of the day our overnight person comes on duty and their first job is to tour the entire facility with a 50 point check-off sheet to make sure lights, appliances, fans and HVAC units are not operating unless necessary. During the day numerous patrols are made through the building to turn off light switches and thermostats in unoccupied areas. With regard to water, every plumbing fixture and appliance is fitted with low-flow reduction devices which meet the green building standards. Building green is a one-time process. However, operating green needs to take place on a daily basis and requires conscious effort. The goal is developing green habits which at the end of the day prove environmentally beneficial for all concerned! Years ago being green was very much on the periphery. Now green is very much center stage with green products, green cars, green houses and green businesses. It is a lot easier to recycle, and purchase green products locally at reasonable prices. Green is very high profile in the media, reminding us to implement green habits. Living green takes awareness and leadership.